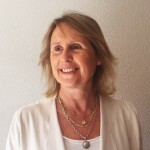 Beatrice De Vos is a native Belgian board certified physician and specialist in pharmaceutical medicine. 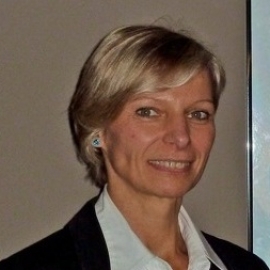 She trained at the Catholic University of Leuven and at Erasme University of Brussels. She is a member of the Belgian College of Pharmaceutical Medicine. She has been awarded a Doctor in Medical Sciences’ degree at the University of Antwerp (UIA). For the past 25 years she worked in leading positions of clinical research and medical affairs departments of major international pharmaceutical companies (Regional Director Benelux at Wyeth-Ayerst R&D (Belgium), Vice President Global Medical Affairs at GSK Biologicals (Wavre, Belgium), VP Global Medical & Scientific Affairs at Sanofi Pasteur in Lyon, France). She was in charge of the clinical development programs of multiple drug candidates and several viral vaccine candidates. She succeeded developing a paediatric rotavirus vaccine, from bench to bed, that is currently used globally. She is author or co-author of multiple publications in international peer-reviewed journals and books, lecturer at several congresses, advisor to several national and international companies and NGO’s, and member of data safety monitoring boards and scientific advisory boards. Today, she is owner and managing director of a consultancy office, Bejamad bvba. She is actively involved in developing novel therapies such as ATMP (advanced therapy medicinal) products based on stem cell technology, small molecules in immune-oncology and vector vaccines for infectious diseases.